If you missed experiencing Disney’s Planes in theaters, let it soar into your home on Blu-ray/DVD + Digital Copy. The digital copy allows you to watch it on whatever device you want, whether you’re flying over oceans or need to entertain your kids during a long car ride. 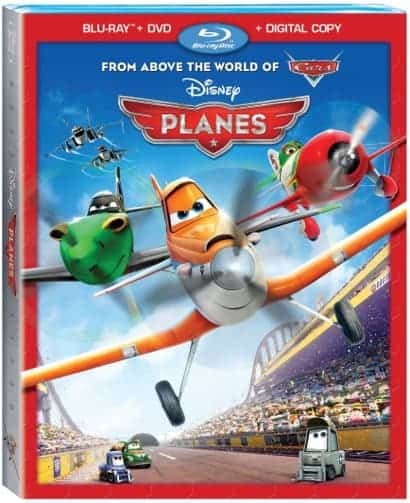 Planes released on Blu-ray November 19, 2013. Disney’s Planes is set in the same world as Disney/Pixar’s Cars, and follows the story of underdog Dusty Crophopper (Dane Cook), a crop dusting plane who has dreams of racing. There’s one problem, though: Dusty is afraid of heights! Even though no one thinks that Dusty has even the remotest shot of winning the Wings Across the Globe competition, all of his friends support Dusty and help him get ready. Dusty even seeks out the help of war veteran Skipper Riley (Stacy Keach) to train him. At first Skipper refuses, but then after seeing Dusty’s determination, Skipper gives in. Once Dusty gets into the race and begins competing, he learns that not everyone in the competition has the same wholesome values that he does. While Dusty is willing to sacrifice his placement in the race to save another, others will stop at nothing to sabotage their competition. Dusty’s small kindnesses pay off; when he’s hurting the most, he finds allies in the most unlikely of places. Commercials for Disney’s Planes were everywhere before it hit theaters, making this one of my five-year-old’s most anticipated films of the year. She knew all of the character’s names even before I did! Unfortunately I didn’t have the chance to take her to see it in theaters, but she was ecstatic when I showed her the Blu-ray and put it in for her to watch. I love the message of Planes and what it teaches young viewers about sportsmanship, goals, and friendship. Dusty has great values; he doesn’t let his dream of winning the race get in the way of how he treats others. He saves the life of another plane in one scene, even though it means he isn’t as far ahead in the race now as he could have been. And above all, Dusty knows the meaning of true friendship. He is there for people even when they aren’t there for them, and ultimately those same people give back that friendship when Dusty is in great need. Klay’s Flight Plan Director Klay Hall and his sons spend some time learning about planes and aviation. Klay fulfills a lifelong dream when he gets to fly in one of the planes. Deleted Scenes Storyboard scenes that did not make it into the final cut of the film. Meet the Racers Short featurettes on all of the racers in the competition. Top 10 Flyers Featurette on real-life fliers. My son went and seen this is theaters with his dad, he loved it. They have some pretty neat toys based on this movie now! My grandsons LOVE Cars, so I am sure this will be a hit too. They are 4, 2, and 1. My grandkids have seen this, but we haven’t yet so I look forward to sitting down and watching this with them. Got this for my nephew for Christmas, can’t wait to watch it with him! Looks like another great movie from Disney! (Disney’s Planes Blu-ray Review #DisneyPlanesPremiere) This is one movie that our whole family wants to see, I will watch it with my grandson. 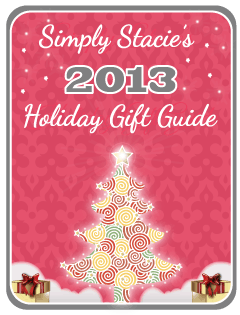 I got this for my nephews and friends son for Christmas. I know they’ll love it! I’m looking forward to watching it too!